The agency that looks after the welfare of children around the world is the most followed international organization on Twitter. That is the conclusion of Twiplomacy, a study of the use of Twitter by governments and international organizations, conducted by the communications firm Burson-Marsteller. 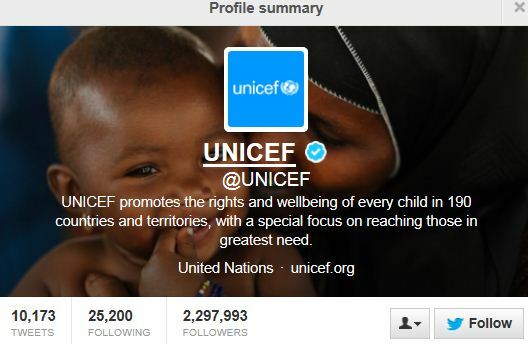 The United Nations International Children’s Fund, @UNICEF, has almost 2.3 million followers. “UNICEF is very active with an average of 11 tweets per day and mentions other Twitter users in every second tweet. Almost a quarter of its tweets are retweets and UNICEF often lends its social media power to promote other UN campaigns,” Burson-Marsteller said. UNICEF is closely followed by its parent organization, the United Nations, the World Economic Forum, the UN refugee agency UNHCR and the World Wide Fund for Nature. “However, the number of followers is not the only indicator of an organization’s popularity,” Burson-Marsteller said. Along with the European Organisation for Nuclear Research, UNICEF is also among the most effective Twitter users, the study found. “Their tweets are retweeted on average more than 100 times,” Burson-Marsteller said. 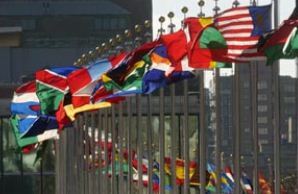 The UN is a distant third, followed by the WWF, Greenpeace and the World Health Organization. The study revealed that their tweets are retweeted on average more than 63 times while the median average of retweets per tweet among all international institutions covered is only four. For the study Burson-Marsteller identified 223 Twitter accounts of 101 international organizations. The firm said it collected the data this month. More than 50 variables were considered, including tweets, following, followers, listed, the date the organization joined Twitter, etc. – All organizations combined have sent more than 770,000 tweets. 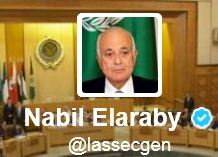 – Nabil Elaraby, secretary general of the Arab League, is the most followed head of an international organization, with more than 340,000 followers. – Richard Sezibera, secretary general of the East African Community is the most conversational head of an international body. More than 65 per cent of his tweets are replies to other users. – Christine Lagarde, head of the International Monetary Fund and NATO Secretary General Anders Fogh Rasmussen are in second and third position with more than 150,000 followers each. Burson-Marsteller said the study showed that no international organization can ignore the power of digital communications and, especially Twitter. All screenshots are courtesy of the respective organizations. It’s the sign of the times. The publisher of the Oxford Dictionaries has named “selfie” the Word of the Year. 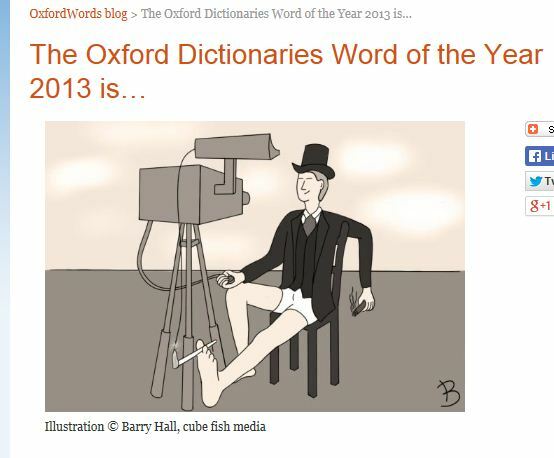 A screenshot of the Oxford University Press post announcing the Word of the Year. “The decision was unanimous this year, with little if any argument. This is a little unusual,” Oxford University Press said in a post on its website. The publisher said although “selfie” was the runaway winner, it was not a new word. It had been included in the online edition of Oxford Dictionaries and was part of the publisher’s occasional Words on the Radar series last year. The publisher said the word was first used 11 years ago, at an Internet forum in Australia in 2002, long before people began posting their self-portraits on various social media sites. It said the suffix “ie” in “selfie” could also explain its Australian origin. No word yet on when “selfie” would be added to the print version of the Oxford English Dictionary. Oxford University Press is a department of Britain’s famous Oxford University. Newmarket is a small town north of Toronto, with a population of just 84,000. But when it comes to adaptation of technology it’s in the big league. 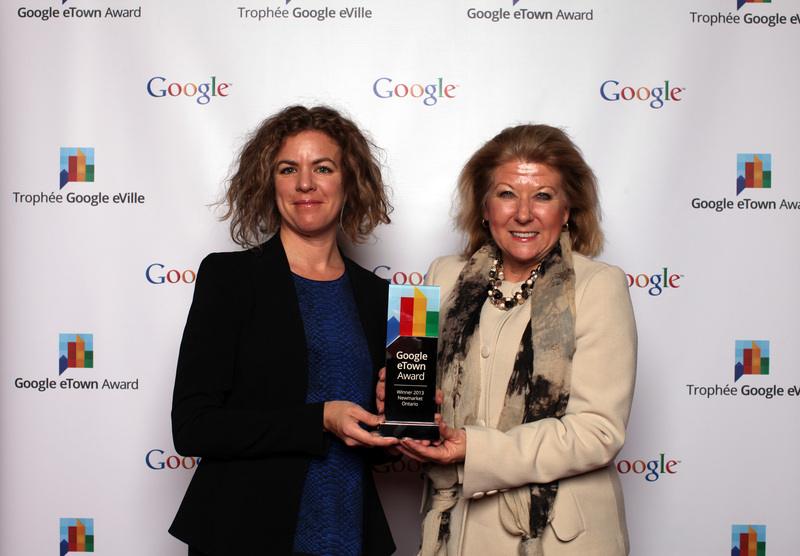 It has just won a Google eTown Award, which the search-engine giant says honours the towns and cities whose businesses are embracing the opportunities of the Internet. “I am delighted to receive this prestigious award and congratulate our business community for embracing the Internet as a key driver of economic growth,” said Lois Brown, member of parliament for Newmarket-Aurora. The business-friendly Newmarket was one of five cities recognized this week. The others are Halifax, Saint-Sauveur, Que., Canmore, Alta. and Whistler, B.C. In choosing the five, Google said it worked with the independent research firm IPSOS to analyze the online strength of local small businesses across Canada. “We’re proud to recognize the growing entrepreneurial spirit in Newmarket,” said Chris O’Neill, managing director of Google Canada. O’Neill noted that despite the growth of Internet use in the country, more than half of all Canadian small businesses still do not have a website. The Newmarket photo is courtesy of the Town of Newmarket and the award photo is courtesy of Google Canada.